There is a group of shareholders formed by brokerage houses that, through a Control Trust, have significant influence and may have interests that differ or conflict with the interests of the other shareholders. The control trust has 25% of the shares representing the capital stock of the BMV, the block vote of said trust in the Shareholders Assembly can define and approve the names of the 15 members of our Board of Directors. Our dependence on the activities of our members and partners, combined with the control they can exercise with respect to all matters that are submitted to the vote of our Shareholders, allows them to exercise a significant influence on the operation of our business. Bolsa Mexicana de Valores, S.A.B. de C.V. (BMV) was founded in 1894. In 1995, it started operating the BMV SENTRA-Debt Securities trading platform (an electronic facility for trading debt securities), and in 1996 it began managing the BMV-SENTRA Capitales platform (for trading capital market instruments). In 1998, the company Servicios de Integración Financiera (SIF) was constituted as a subsidiary of the Bolsa with the purpose of providing electronic brokerage. Then, in January 1999, all the share negotiation was incorporated into the electronic system. Thus, on January 1, 2002, the Mexican Corporate Market Securities services company, S.A. of C.V. for the hiring, administration and control of personnel of the Exchange and of the other financial institutions of the Stock Exchange Center that joined this process. The Mexican Stock Exchange concluded with the process of demutualization, becoming a company whose shares are susceptible to trading in the stock market, carrying out on June 13, 2008 the Initial Public Offering of its shares representing its capital stock. On the other hand is the derivatives market which was created in 1994 as MexDer, Mercado Mexicano de Derivados, S.A. of C.V. being Indeval , constituted on August 20, 1987, which would promote the creation of the derivatives clearing house that is called Asigna, Compensación y Liquidación. In 1978, contracts for the future began to be listed, since 1977 hybrid debt instruments by the Federal Government such as petrobonds, promissory notes, treasury bonds, etc., since 1989 the Brady Bonds for the renegotiation of the public sector’s external debt, in the decade From the nineties, OTC (over the counter) forward contracts were negotiated and, from October 1992, the Optional Securities (warrants) on individual shares, baskets and stock indices began to operate on the Mexican Stock Exchange. On the other hand is Valmer, is a company founded by the Mexican Stock Exchange (BMV) and Algorithmics Incorporated in 2000 and is responsible for valuation of financial instruments, as well as comprehensive services of calculation, information, analysis and risks, related to said prices. 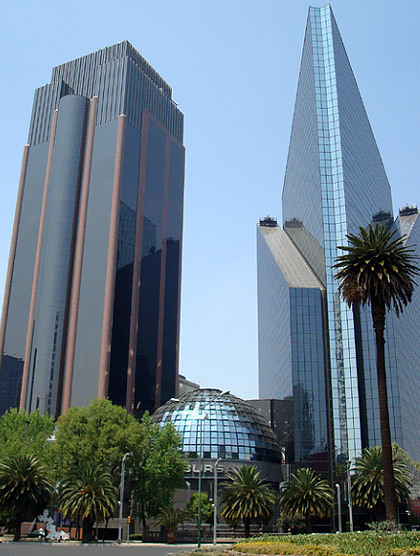 On January 29, 2010, a new organizational structure was approved, which includes all the companies of the Mexican stock exchange group named above, now having five business divisions (markets and information, liquidation and custody, technology, promotion and planning). , and corporate services and government relations). In November 2016, the BMV started operations with its new Motor FIX, a technologically advanced piece that allows receiving in microseconds the orders registered, modified, canceled and executed by its members for the operation of the different securities that make up the Capital Market, including the titles listed in the International Quotation System. Additionally, in the same year, the first placements of a FIBER E, a CERPI and a Green Bonus were made. During 2017, the BMV invested in several technology projects, among the most outstanding: improvements to the market surveillance system (SMARTS), the connection of the Exchange, the exchange of the central engine of the Central Securities Counterparty for clearing and settlement (SCO). and the implementation of a system that automates the process of identification, analysis and management of operational risk in a single environment (OpenPages). In addition to continuing organic growth, BMV is committed to promoting financial markets in Mexico through education. In the last quarter of 2017, Grupo BMV invested in the construction of the Stock Exchange Museum (MUBO). 1) Securities Loan the Securities Loan Program, through the Electronic Trading System – VALPRE since January 1997 to allow participants to register positions anonymously, establishing the characteristics of the positions; 2) since 1994, the ISINy number assignment has been started since 1996, and the ISIN Numbers Electronic Directory has been launched jointly with the BMV; and 3) establishes a direct connection between the Indeval systems and the direct market participants. Indeval is the Mexican Central Securities Depository (CSD) for all financial instruments, which manages DALI Securities Settlement System (SSS), whose operational core is a trade settlement engine working on the basis of Trade Research methods. DALI’s operational core is the only tool enabling transactions to be cleared and settled at Indeval on a final and irrevocable basis, and allowing for different applicable securities settlement DvP models, including real-time gross settlement (RTGS). As for August 10th, 2012, DALI started to administrate the communication with payment SPEI of Banco de México and SIAC-BANXICO for all cash deposits and withdrawals systems domestic currency, to be applied on movements from settlement cycles of SLV, as well as for final settlement on closing day. Additionally, the settlement engine DALI is based on trade research techniques, it is executed automatically (at present set up to run every two minutes or more often, if there is enough trading volume), and it provides safe and continuous operation, ensuring that transactions shall be settled on a final and irrevocable basis. This unique clearing and settlement engine includes a linear programming model selecting which pending trades may be settled with the available balances and positions held by DALI direct participants (depositors), thus maximizing the value of transactions to be settled. Thanks to this model, it is possible to settle many transactions which, as a result of insufficent provision of securities and/or cash, would remain pending settlement if they were processed one by one. Up to December 31, 2014, the amount settled was a 13% over 2013. Domestic securities S. D. Indeval Institución para el Depósito de Valores, S.A. de C.V.
Bolsa Mexicana de Valores complies with the required CCP mechanism, which is provided by two institutions. On the Capital Market side, the CCP role is played by Contraparte Central de Valores (CCV), whereas Asigna, Compensación y Liquidación performs CCP functions for the Derivatives Market. - Monthy quarterly period up to 10 years (to 91 days of Cetes future contracts). - Quarterly period up to 1 year (Future Bonds contracts). Bolsa Nacional de Valores, S.A. (Costa Rica) – May 24, 1991 - Technical Assistance Agreement. Bolsa de Valores de Santo Domingo, Inc.(*) – November 28, 1991 - Technical Assistance & Information Sharing Agreement. Bolsa de Valores de El Salvador, S.A. de C.V. – September 5, 2003 -Technical Assistance & Information Sharing Agreement. (*) In 1997 Bolsa de Valores de Santo Domingo Inc. changed its name for Bolsa de Valores de la República Dominicana Inc.